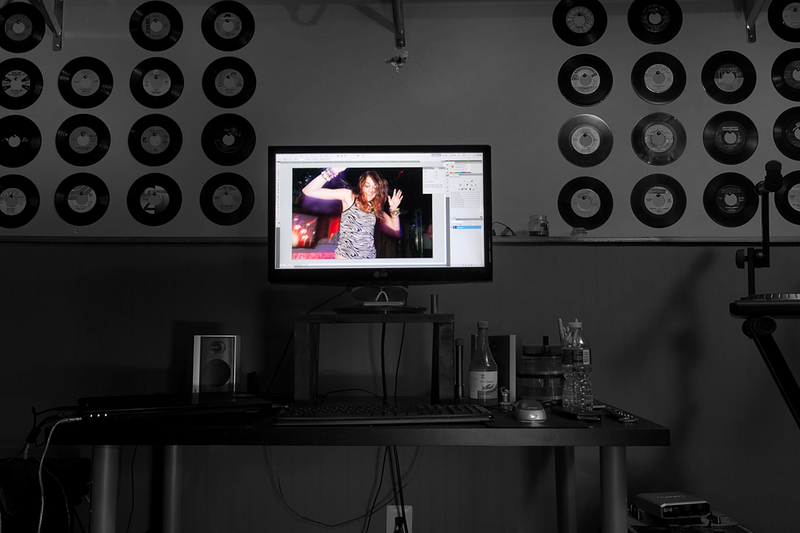 I spent pretty much my whole day in the dungeon / studio editing photos and organizing music. It was a very crappy day outside, rainy, foggy, gloomy, and just not very motivating. My work area is really dark, with no windows, which is great for editing, but not so great to take a photos in. I set up the camera in front of my desk and took a few photos at different exposures. I then took some more long exposure shots with an added white LED light. I brought all the images in to Photoshop and fooled around with erasing potions of the images to create something like a HDR look. Not a great picture, but at least I took a photo and played with some new editing techniques.